If you are just getting started with segmenting your marketing database (or taking a step back to rethink how you’ve been segmenting for a while), this post is for you. We’ll take a look at a proven approach to using personas and lifecycle stages to build an effective segmentation strategy. Ready? Let's go. First, What Do We Mean by Segmentation? The natural next question is, how should I actually be segmenting my audience? 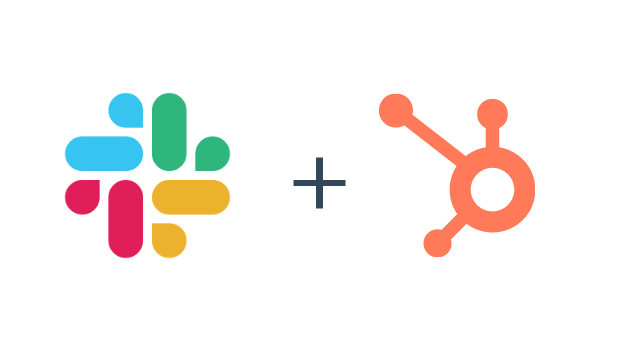 While there are a lot of right ways to segment, we’ll take a look at a proven method that is actually built right into HubSpot’s tools, which is segmenting by lifecycle stage and persona. 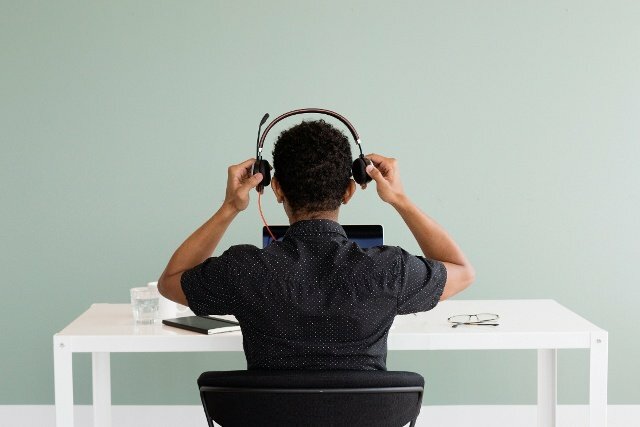 In short, buyer personas are groups that you define to represent the different buyers you commonly come across in your marketing and sales process. Your buyer persona might be defined by things like industry, company size, location, and other details. It’s up to you to figure out what is most important. Lifecycle stage refers to where in the buying process an individual lead or contact currently is. It’s a great starting point for segmenting your audience, because how you communicate with different contacts should be largely dependent on their lifecycle stage. For example, the conversation you should have with a new lead who you know nothing about should be very different from the kind of conversation you might have with an established sales opportunity who is considering a purchase in the near future. In HubSpot, lifecycle stage takes the form of a dropdown field on every contacts’ record. You or your sales team can set that dropdown to define each leads’ stage manually, or you can do it in an automated way with forms, the Workflows tool, or your CRM software. At HubSpot, after trying many different approaches on our own and with our customers, we’ve found that the most effective way to segment is by looking at these two dimensions together. In other words, we define segments based on lifecycle stage and persona. This approach looks at who an individual lead or contact is (their goals, interests, demographics) and how they expect to interact with your organization (through lifecycle stage). Think about this for your own database. What are your groups? Jot it down. Now, let's discuss how to put this into practice. Ready for the good news? 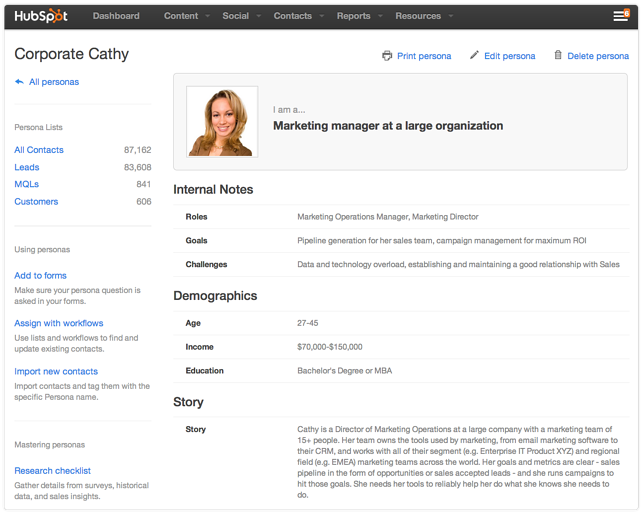 It’s now easy to build out personas in HubSpot and then use them to segment your database with the new Personas Tool. 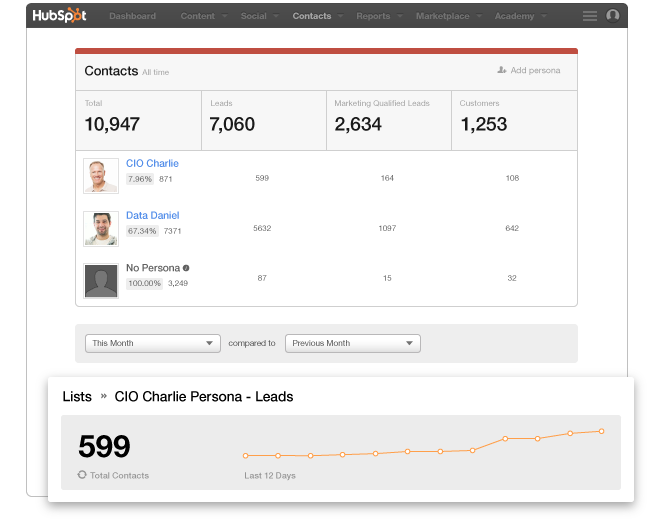 The Personas Tool lives on your HubSpot dashboard under "Contacts." 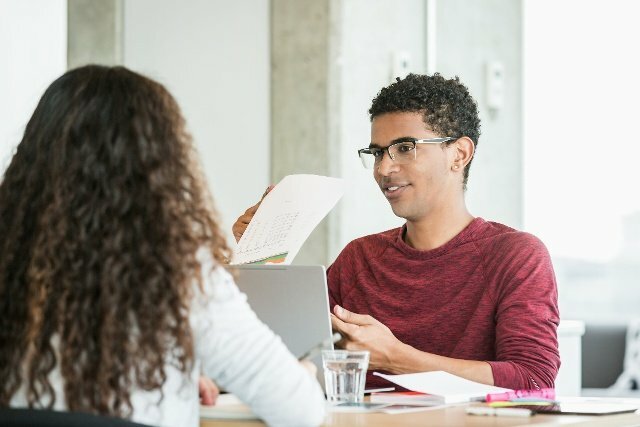 It helps you with every aspect of segmenting your database based on your personas -- from defining your personas, to building out persona profiles, to classifying your database by persona. Once you’ve set up your personas and started to label each contact based on their persona, you’ll get a high-level look at the makeup of your database like the one you see above. You'll also be able to drill into a list of each segments' contacts to see the growth of your list over time. Getting started with creating personas is easy. Click the "+ Add Persona" link at the top right-hand corner of the Contacts module on the dashboard. The tool will walk you through a simple process to help you define your first persona, which will be included in the finished profile like the example below. For example, if you’ve got a large number of early stage leads, you may want to focus your time on building nurturing workflows to move them along to becoming MQLs. If you have a lot of MQLs and very few earlier stage leads, maybe you need to spend time on blog content and an educational offer. Want to give the personas tool a try? You can find it the top of your dashboard in HubSpot. (If you haven’t created a persona yet, look for the “+ Add Persona” link.) Want to get a feel for how the tool works? Check out the video below. Let us know when you start using this brand new tool! What did you think? Did you use some other segment criteria to build your persona? Also, have questions? Ask below!